Yesterday I met with a friend to return a Canon IXUS 110 IS digital camera that was lent to my wife for her to review. This Canon digital camera shoots a maximum of 12.1 megapixels and that's large for the small size of its body. The PureColor LCD II screen is quite large at 2.8 inches with a 16:9 aspect ration so pictures taken can be seen clearly. The Canon Digital IXUS 110 IS was lent for seven days to us and it came with an sd card, a rechargeable lithium ion battery and a battery charger. One great thing about its specifications is its wide-angle zoom lens that has a focal range of 28-112mm and 4x optical zoom. This premium point-and-shoot digital camera is very attractive and easy to carry around. Its great for macro shots as you can move the lens as close to the subject and still get a very clear and crisp shot. For a point-and-shoot digital camera, this one is able to shoot HD videos at 1280x720 pixels at 30 frames per second (fps). It has 18 pre-set modes which delivers good results and has a Digic 4 processor. When I used the Canon IXUS 110 IS to take pictures in the 2009 Honda Challenge Cup last week I was generally satisfied with its performance. It is perfect for fast paced events when you can't afford to make adjustments in your camera. The only two exceptions for my satisfaction are that 1)its battery life is not that long. It would not last until evening if you started using it continuously from early morning, 2) and with continuous use, you can feel its body slightly heating up or starting to feel warm. But, the first exception can be remedied if you had an extra battery while the second one does not at all affect the quality of the pictures you take. 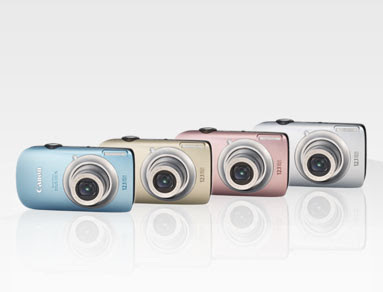 The Canon Digital IXUS 110 IS is available in the Philippines for a suggested retail price of (PHP) P23,950.00.